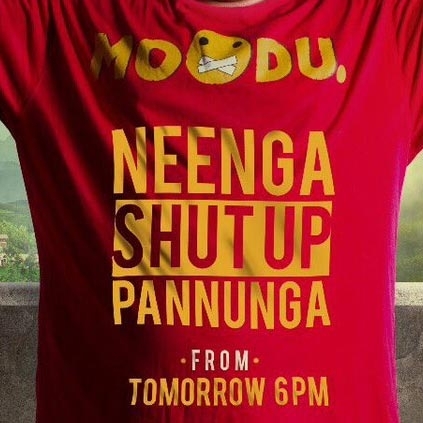 'Neenga Shut Up Pannunga' is a viral catch phrase now, thanks to Oviya for using the term in Bigg Boss show. As reported earlier, team Ballon has used this catch phrase in one of their songs which would release tomorrow. 'Neenga Shut Up Pannunga' song from Ballon to release, tomorrow, August 29th at 6 PM. The song is composed by Yuvan Shankar Raja and sung by Anirudh. The all important Mersal announcement you have been waiting for is here! Oviya's first tweet after her Bigg Boss entry and exit! Box Office: How has Ajith's Vivegam performed in Madurai? Is this for Mersal or for Vijay 62?